At the port, the sea and its harshness forgotten, the Antares 10.20 displays a streamlined silhouette, where power dominates. The flying-bridge and the radar gantry with a strong profile crown the taut lines of the square wheelhouse and the sloping coachroof. 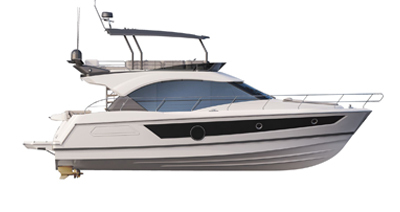 The Antares 10.20 asserts its personality, its arrival in a marina does not go unnoticed. The Antares 10.20 loves those who love life.